Although the Optima went through a very nice update in 2016, the 2018 KIA Optima appears to show an even greater emphasis on staying on top of the mid-size sedan market. Our comparison goes through some of the major changes for 2018 compared with the 2018 Nissan Altima. The 185-hp 4-cylinder engine is standard on the LS, S and EX models. The 2.0L engine on the SX turbo boosts the horsepower up to a hefty 247-hp. If fuel efficiency is your concern, the LX turbocharged 1.6L engine combined with a 7 speed dual clutch transmission gets an EPA estimated 28/39 mpg city/highway. On the other hand, the 2018 Nissan Altima has limited choices with the 179-hp 2.5L or the optional 3.5L 270-hp. Nissan has no option for a turbocharged engine at this time. While the two sedans have standard tilt and telescoping steering wheels, the Optima outshines the Altima with available memory driver’s seat and heated/cooled front seats. The Optima also upgraded the infotainment system with a standard touchscreen that went from a 5.0 inch to a 7.0 inch version that includes Apple CarPlay and Android Auto. The Altima offers a 5.0 inch touchscreen as standard with a maximum optional screen size of a 7.0 inches. The Optima also offers an 8.0 inch touchscreen with no extra cost for smartphone integration as was the case in the previous model year. Nissan has forward collision warning and front automated braking as the two standard safety features. Additional options include adaptive cruise control, blind-spot monitor, front parking sensors, rear cross traffic alert and rear parking sensors. The Optima steps forward with blind spot monitor, rear cross-traffic alert, and rear parking sensors as standard. Available features allow for lane departure warning, forward collision warning, front automated braking, automatic high beams and adaptive cruise control. Nissan has not changed its standard warranty coverage when compared to its competitors for 2018. However, the Optima continues to have legendary powertrain coverage. Nissan’s limited warranty of 3 year/36,000 mile and 5 year/60,000 mile powertrain warranty are difficult to compare to the Optima’s 5 year/60,000 mile limited warranty as well as the 10 year/100,000 mile powertrain warranty. 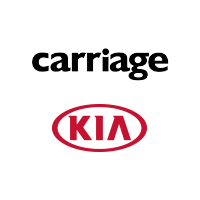 Stop by Carriage Kia of Woodstock today for a test drive. Experience the new 2018 Kia Optima and see for yourself how it compares to the 2018 Nissan Altima.